Leaving your pet in the care of others is never easy. At GADOG, you can be confident that your pet is receiving the best possible care. Our spacious kennels and exercise area provide a safe and stimulating environment. We offer nutritious meals as well as daily play and exercise time. At GADOG, we welcome pets with special medical or dietary requirements and there is always a vererinariean available in case of an emergency. Space is limited, especially during holidays so make reservations early. Call us today at (478) 986-3784 to reserve a space for your pet. 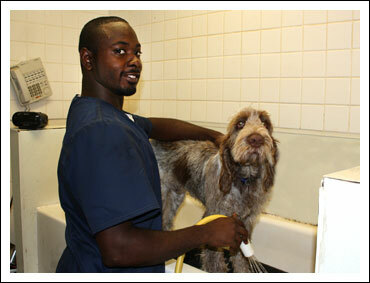 GADOG offers bathing and grooming for all breeds of dogs and cats. 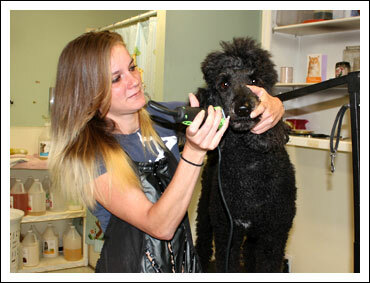 Our caring and professional staff provides complete services that include expert clipping, nail trimming, ear cleaning, bathing and flea treatment along with a thorough brushing and combing. Groomers are available Monday, Tuesday, Thursday, Friday and every other Saturday. Please call (478) 986-3784 for pricing information or to schedule an appointment. GADOG is pleased to offer a variety of large animal veterinary services in the convenience of your home or farm or at our clinic location. We treat a large variety of large animals such as equine, bovine, caprine, ovine and camelid species (llamas and alpacas). Our flexible ambulatory service allows us to offer preventative care as well as medical care on-location. It is equipped to provide vaccination and wellness care, dental services, microchipping and internal medicine services including pain management and euthanasia. 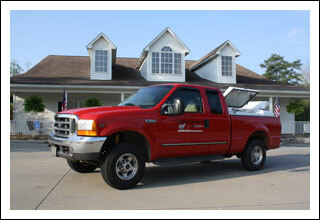 GADOG provides onsite medical services for pets and large animals throughout the middle Georgia area. With the exception of our arachnid friends, GADOG offer a full range of veterinary services for a wide variety of exotic pets such as birds, snakes, turtles, lizards, fish, rabbits, hamsters, guinea pigs, ferrets, rats, and mice. Exotic pets require regular checkups and routine preventative care just like a cat or dog, but unlike more traditional pets, specialized facilities and equipment like those found at GADOG are necessary to appropriately treat the needs of these distinctive animals. 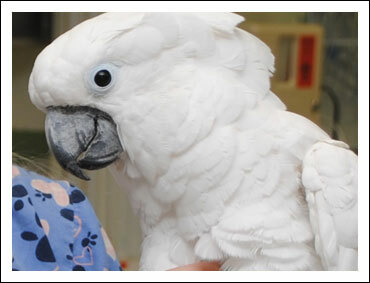 Rest assured that your exotic pet will receive the expert care that it needs at our clinic.